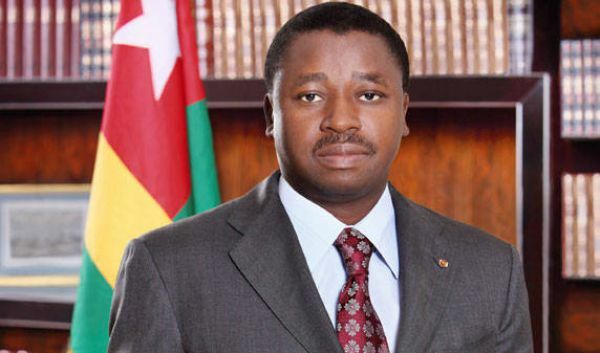 Folks,Togo is embroiled in political agitations masterminded by those opposed to the so-called “dynasty” of the Eyadema family that has been ruling the country over the past 50 or so years. Much tension now exists, which threatens national stability and the security of limb and property. If you ask me where I stand on this issue, I will simply tell you that such agitations are unnecessary, misplaced, and indicative of a failed effort to solve the political problem that Togo has had over the years and will continue to have unless reason prevails over emotions and frail hopes, not to talk about fragile political jingoism by failed politicians. The picture is clear (at least, from what has been publicized as the background of the crisis): “The Gnassingbe family has been ruling Togo since 1967 after a coup by Eyadéma. His son, Faure, was sworn in after he died on February 5, 2005, although the constitution mandates the President of the National Assembly should become acting President. Since then, Faure, who is also new chairperson of the Economic Community of West African States (ECOWAS), has won three presidential elections albeit under controversial circumstances. His 2015 presidential victory was condemned by observers as replete with irregularities… Political forces resisting President Faure Gnassingbe are not backing down on their demands for the Constitution to be amended to prevent his family’s continued stay in power… There are reports, opposition parties are united in the push to break up the Gnassingbe political dynasty. They are bent on organising another demonstration on Friday.” (See https://www.myjoyonline.com/politics/2017/August-22nd/chaos-in-togo-togolese-residents-urged-to-move-to-ghana.php). Togo is no stranger to political agitations of this sort, especially when it comes to challenging the legitimacy of the Eyademas. The late Gnasingbe Eyadema faced many and survived. At times, allegations were even raised about Ghana’s involvement in such agitations, especially in the era of Jerry John Rawlings when abortive coup attempts were made. Such allegations strained relations between Ghana and Togo. Not until Rawlings left the scene for Kufuor did Eyadema warm up to Ghana (We recall Kufuor’s participation in the celebration of his January 13 “Revolution” in 2001 that began the thawing of relations between both countries). No matter what happened after his death, Faure took over the reins of power and has won general elections to validate his status. Now comes the real history behind the political development of Togo, which explains why the Eyademas have had a cozy ride on the throne. At independence, the most prominent Togoles to ascend to power were Sylavanus Olympio (murdered in 1962, I believe) and Nicholas Grunitzky (overthrown in a military coup by Eyadema). Remember that in that immediate post-colonial period, coup d’etats occurred anyhow after Nigeria had blazed the trail, followed by Ghana, and emulated by Togo and the others. Gen. Eyadema’s rise to power might have several complications, but he maintained his grip on power and raised the status of his Kabre ethnic group beyond comprehension of other ethnicities that found nothing commendable in the Kabres. The Ewes in Southern Togo, particularly harboured so much disdain for the Kabres that they won’t want to associate with them or accept them as “equals” in any department of life. Interestingly, while the Ewes stuck to their self-righteous acclaim and didn’t respond positively to the Eyadema programmes of expanding the military, public service, and many other structures of governance, the Kabres responded positively and got into those institutions, where they reinforced their hold on power over the years. I recall my days in Aflao in those years when the Togolese Ewes did all they could to dissociate themselves from the Kabres. In effect, the disdain for the Kabres was concentrated and indissoluble. As Fate would have it, the Kabres continued to dig in and eventually became the forces controlling everything in Togo. Then, when the sad realization dawned on the Ewes, they took to the streets in protest and a vain attempt to dislodge them. I remember very well the efforts by Olympio to capitalize on his father’s image and launch himself to power. Rumours had it that he was staunchly supported by Rawlings in that bid. And he had a comfortable home in Ghana from where he could pull strings to excite his supporters and instigate them to take to the streets in protest against Gen. Eyadema. Much happened to no avail and Eyadema prevailed till his death. The structures in place for conducting general elections in Togo aren’t any different from what exists in other African countries treading the path of democracy in our time. Allegations of rigging and electoral malpractices are known cacophonous refrains sung loudly and clearly by those who find it difficult to accept defeat at the polls because of their own failure to reach out successfully to voters to be favoured. The agitations against Faure stem from the inadequacies of his opponents. No amount of street demonstrations will solve the problem. What has to be done to end the so-called Eyadema dynasty’s grip on power doesn’t call for demonstrations or violence. It simply demands strategization by those who think it is their turn to rule Togo. And for as long as they strategize properly to use the ballot box to effect, they should give their country the peace that it deserves to be on its feet. Mobilizing poor people to rock the boat won’t solve the country’s problems or end the Eyadema influence on Togolese politics. For as long as the voters see something good coming from the incumbent, they will continue to support him at the polls. What the opponents have to do now is to ensure that they are well represented in the body that either drafts or amends the constitution so their interests could be catered for. It means they have to actively participate in processes leading to the election of those representatives. Until they do so, they can’t have anything done their way. Their wishes aren’t horses to be ridden to power. I want to add here that unless measures are taken to defeat Faure at the polls (assuming that the constitution allows him to run again), he will continue to be the head of State, no matter what his opponents do outside the electoral process. At worst, they will end up plunging the country into more chaos than it is prepared for and endanger their own lives. I hear some of them have already been arrested and will be dealt with as demanded by law. Is that how they hope to overturn the table in their favour? No!! So far, the international community hasn’t responded forcefully to the situation in the country, which suggests that they aren’t seeing things the way the Faure opponents do. The ECOWAS hasn’t stepped in (Faure is its Chair now) nor have Togo’s immediate neighbours (Ghana, Benin, and Burkina Faso) raised alarm or sought means for negotiation. The situation is still developing but can be better controlled if those taking to the streets re-think their approach toward solving the problem. It must be noted here that the Eyadema’s didn’t just wake up one day to plant themselves on the seat. They worked hard for it. For as long as public goodwill for them (from other ethnic groups than those taking to the streets now), there is the possibility that the “dynasty” will grow and entrench itself more forcefully. Let another Eyadema emerge to win the hearts of the people and he/she will be placed in power. That is why those kicking against this issue of the “Eyadema dynasty” should think of better ways to make themselves relevant instead of wasting resources and endangering life and property through these street demonstrations. In the end, national stability and security should remain paramount in the doings and thoughts of the people. In the few days already, the situation isn’t good. Those fleeing the country are needlessly being turned into refugees in the neighbouring countries that lack adequate resources for their upkeep. The neighbouring countries have their own problems to deal with. Why add more to them? Cool heads should work around the clock to deal with this Togolese problem and save the citizens from needless hardship. Opinion: No Sympathy for Mensah-Bonsu – By Kwame Okoampa-Ahoofe, Jr., Ph.D.